Cooks Hill finals hopes were on the line as they took to the field against the Betts Bower Haulage U17’s. It was a slow start as Singleton wrestled some momentum away from the visitors. The Strikers were near enough full-strength with Corey Henderson playing his first home game since recovering from a nasty head injury. The tables turned in the 10th minute as Hamish Anderson’s dangerous back pass forced keeper Brad Fairclough to scramble and he would be unable to force off the incoming attackers. Cooks Hill stole possession and passed it into an empty net. That goal turned the game as Singleton looked out of sorts over the course of the next ten minutes. Cooks Hill were putting enormous pressure on the home side and they were at times on the verge of collapsing to a heavier deficit. 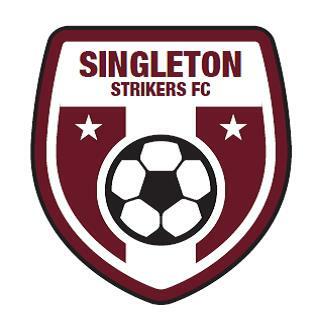 Singleton would begin to work their way back into the match. Hamish Mayled threatened to put the home side level. Cooks Hill fired up in the 2nd half and they scored another goal in the 50th minute. A dangerous corner ended up being scrambled in the box and it was blasted it at point-blank range by the Cooks Hill attacker. Cooks Hill would wrap up the three points in decent style as they once again crossed in a dangerous ball, this time from a free-kick. It floated over the defenders and keeper to the Cooks Hill captain unmarked at the back post. 3-0 in the 72nd minute and game over. With neither team in finals contention, the U19 fixture was always likely to be one of those late season games where it’s either a scoreless draw or a game with nine or ten goals. Cue the latter and cue some quality finishes. Cooks Hill opened their account in the 11th minute as they pounced on a rebound from a Jeremy Wilde save. Moments later, the Singleton Viatek U19’s hit back in quality style as Jesse Mackaway scored from a tight angle. Oliver Moody had a chance after some horrible Cooks Hill defending but it was saved well by the goalkeeper, before Cooks Hill wrestled back control and regained the lead. Right on half-time it was 2-2 as Tully Winsor scored to draw Singleton level. Once again, Cooks Hill would get the lead back through a rebound attempt. The first shot was straight at the keeper and parried, but there was no stopping the follow up attempt. Tyler Felsch scored just two minutes later to once again draw Singleton level in a topsy turvy game. Two quick goals in succession Cooks Hill 5-3 ahead. A final goal of the game to Cooks Hill was enough to snuff out any chance of a Singleton revival. The Singleton Viatek U19’s finish 2016, as the team that could, but didn’t. A team that looked quality early on but could never keep consistency rolling and couldn’t beat higher opposition. A decent year nonetheless with players like Nathan Hall and Nick Hough enjoying quality seasons. It was an entertaining match-up in the 23’s game. It was 1-0 to Cooks Hill in the 11th minute as Singleton defender Barton Jones had a moment to forget. Whether it be an attempted back-pass or an attempt to play the ball out, the ball would roll past a diving Ryan Guihot and into the Singleton net. Own goal…1-0 to the Cooks Hill. All in all a fairly even first half with both sides missing some valuable chances. Cooks Hill with the better of the ball, but Singleton looking dangerous. Early in the 2nd half, young Cooks Hill score a screamer from long-range after seeing the goalkeeper was off his line. Singleton kept in it and midfielder Tom Golding did a quality job in a grade that he has featured in a few times as of late. With five minutes to go, Rob Field scored to put Singleton back into it and they’d heap some pressure onto the visitors. A late free-kick to James Bates gave them a chance to take a point but it wasn’t to be as Cooks Hill secured a place in the top two. 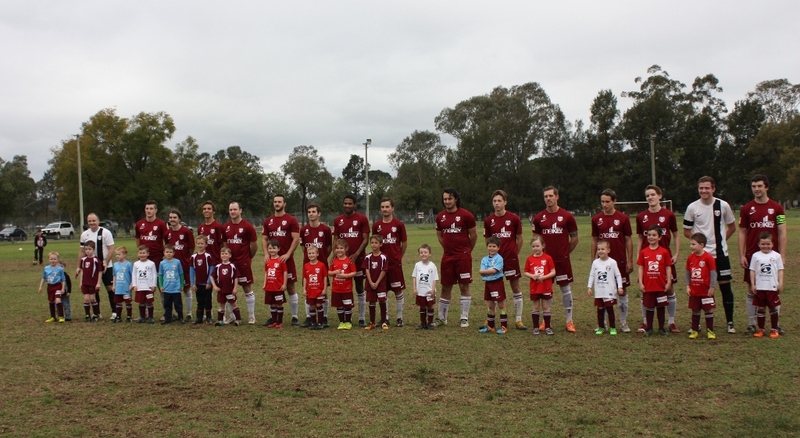 The First grade game was preceded by a Singleton U6’s exhibition match, and the youngsters relished the opportunity to play at the home of football in Singleton. A highlight for the youngest Strikers would have been the opportunity to walk out for the start of the main game with the Strikers first grade players. 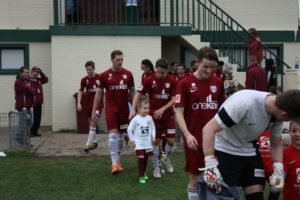 The opening goal of the first grade fixture came when Singleton’s Jackson Cox was placed through the defensive line by a Matt Franz pass, and Cox’s shot found its way into the net past the Cooks Hill keeper from a very tight-angle. It’d be an understatement to say that Singleton were in control. Cox’s goal threw the match plan out the window for Cooks Hill, and they were looking like sitting ducks for a few moments as the likes of Kieron Burrell and Nathan Hall toyed with the defenders. The visitors withstood the pressure and would end up finding their way back in the match in some style. A risky Zane Hand pass-back saw goalkeeper Stuart Plant and the speedy Cooks Hill attacker in a 50/50 contested ball situation. 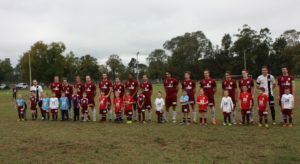 The resulting deflected clearance fell to a Cooks Hill player some 35 metres from goal, and he fired a shot towards goal. Stuart Plant dived backwards but it wasn’t enough as the spectacular shot found the back of the net. That 21st minute goal drew Cooks Hill level and two minutes later they had lead. A goal kick was headed on by Cook Hill and would wind up at the feet of Singleton fullback Jackson Hough. Hough passed towards Stuart Plant but again the back-pass proved fatal as the Cooks Hill attacker grabbed the ball, rounded Plant and passed it into an empty net. Singleton threatened and although go-to-man Kieron Burrell wasn’t at his best after being hacked down early on, he’d force Cooks Hill into some quality defending. The Strikers had the chance to get back on level terms when midfield maestro Dan Palozzi was brought down inside the penalty box. The resulting penalty kick from Jackson Cox wasn’t the best, and it was parried away to safety. But Singleton did draw level soon after when a goal mouth scramble saw boom youngster Nathan Hall the first to react to a loose ball, and he slammed a shot into the roof of the net.